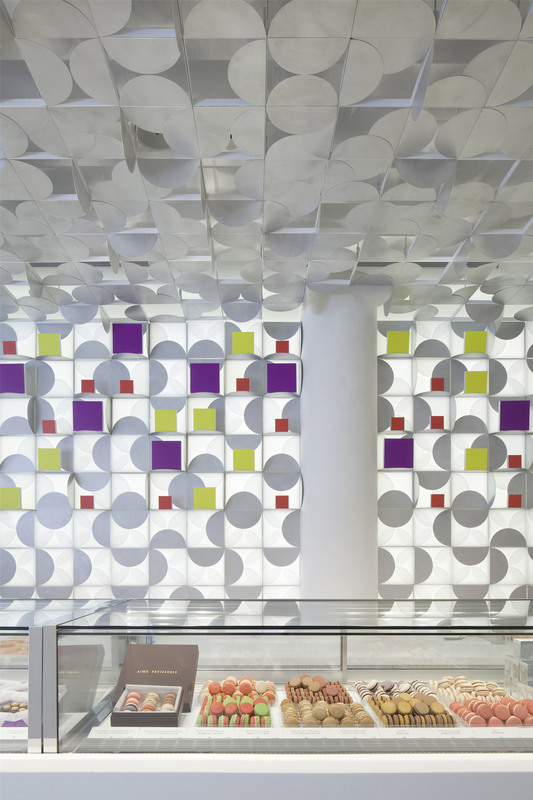 The decorative present boxes utilized to package macarons at this Shanghai patisserie provided the inspiration for the translucent semi-circular details that spread across its walls and ceiling (+ slideshow). 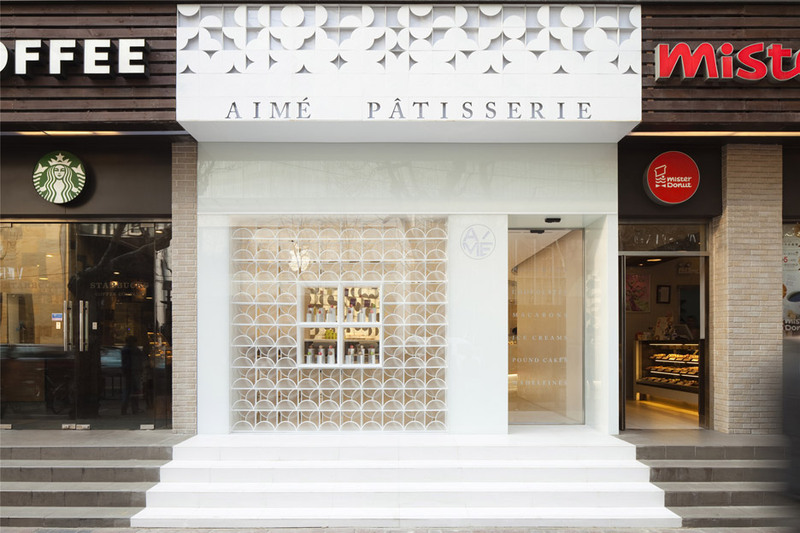 Created by regional studio Lukstudio – which also not too long ago completed a Chinese restaurant interior – the Aimé Pâtisserie sits amongst numerous common coffee and doughnut franchises on the city’s busy Hua Hai Road. 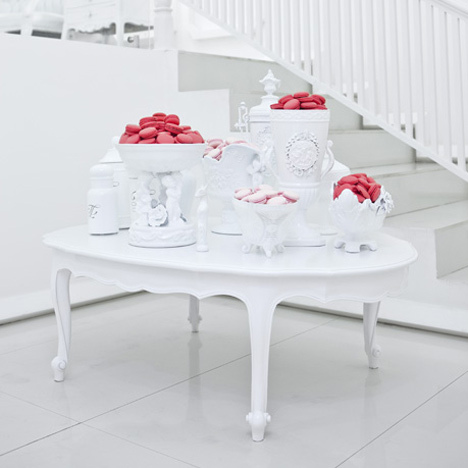 To assist it to stand out, the crew decided to “dress up” the developing with a vivid white facade that requires its design cues from the curved cardboard and translucent tissue paper often used for packaging sweet treats. The keep has an L-shaped layout that divides it into two zones: a foyer with bar seating at the front and a display counter at the back. 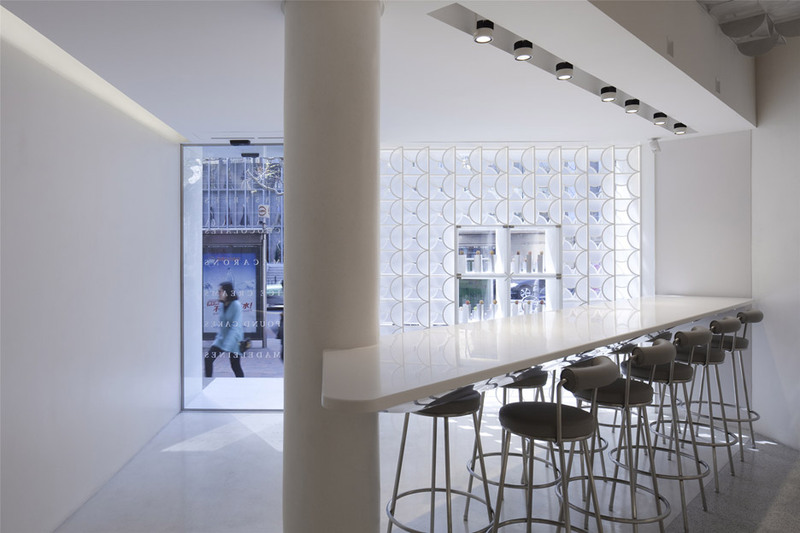 Although the ceiling in direction of the front of the store is lowered and without having decoration, the section in the direction of back characteristics the same repetitive detailing as the facade. 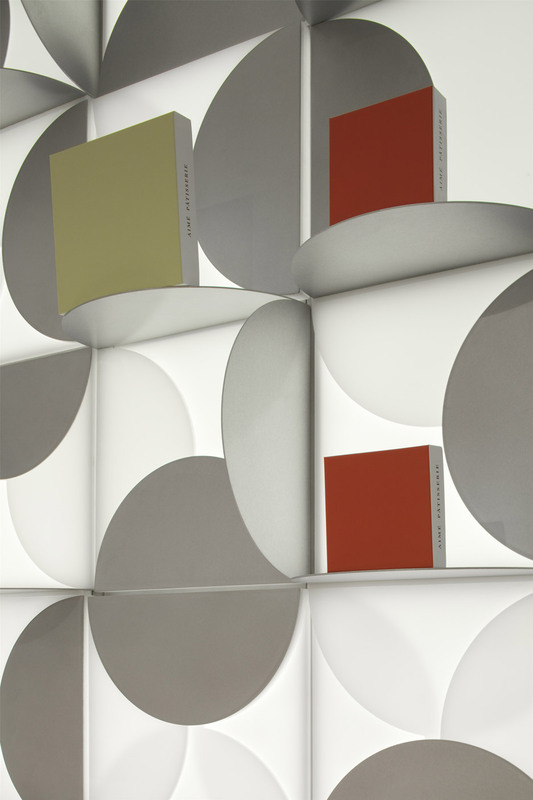 Gift boxes are presented against the illuminated rear wall, incorporating splashes of colour to the otherwise white room. 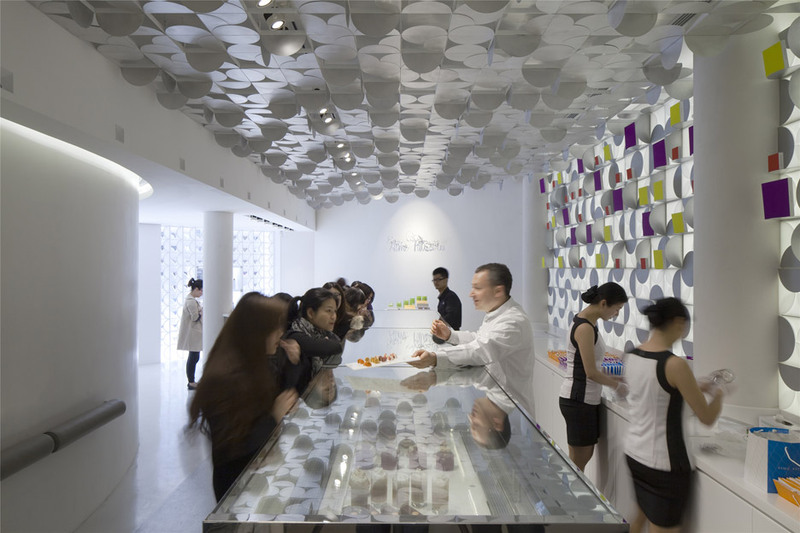 In front, macarons and other baked products are encased below a nine-metre-prolonged glass counter. Shanghai studio Linehouse previously created the interior for one more Chinese patisserie, making use of a cage-like grid of brass poles, even though Atelier Moderno and Anne Sophie Goneau displayed colourful macarons against a stark monochromatic backdrop for a bakery in Montreal. 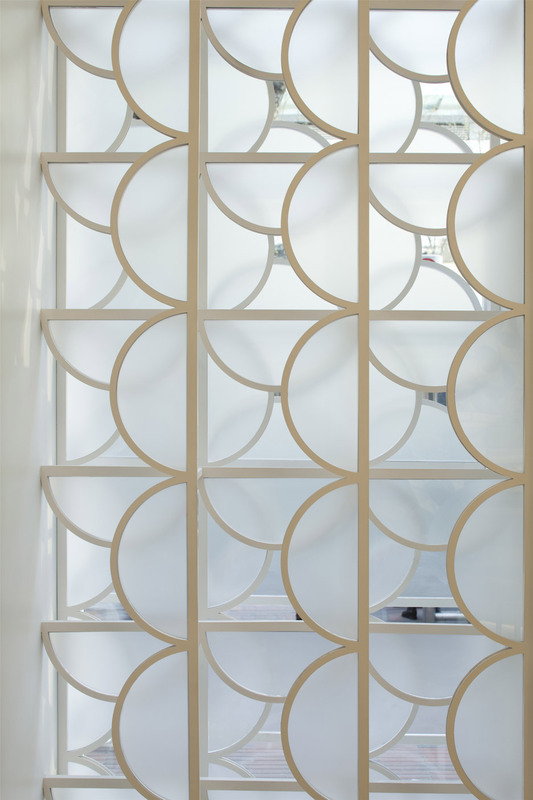 Photography is by Peter Dixie/Lotan Architectural Photography.